The Plott Hound is an agile, muscular dog with a short, often brindle colored coat and historic mountain heritage. Of the 7 breeds of coonhounds recognized by the United Kennel Club, the Plott alone does not trace its ancestry from foxhounds. 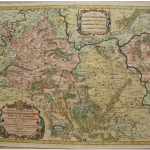 Its ancestors came from Germany where they were used for boar hunting. Johannes Plott brought a few when he migrated to America and settled in western North Carolina in the 1750s. 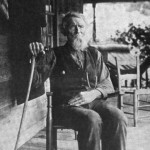 His son Henry brought a pack to Haywood County in the early 19th century. It was here that the modern breed evolved and achieved fame for its skill and courage in pursuit of bears and wild boars. The Plott Hound was officially adopted as North Carolina’s state dog in 1989. Von Plott and his dogs. Courtesy of the State Archives of North Carolina. Plott Hounds are not cute or cuddly. They will not fetch your slippers or bring you the paper. But if you need a dog that will chase a 200-pound bear for days and never give up, they have no equal. 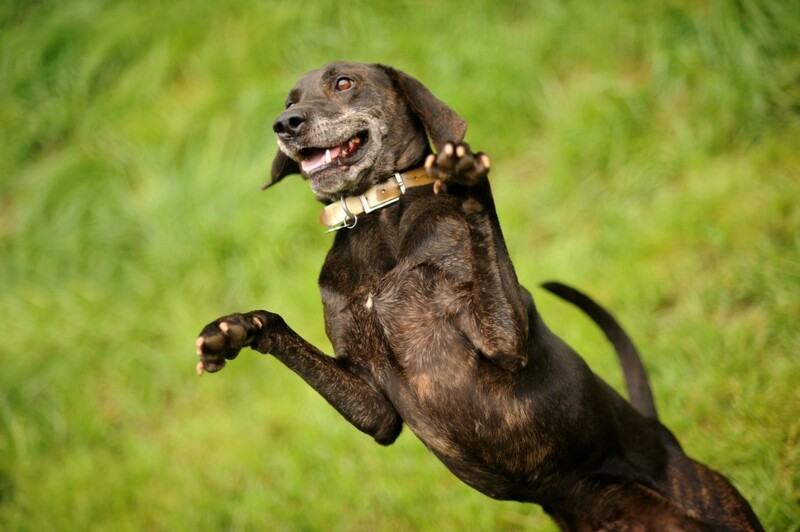 The Plott Hound is North Carolina’s state dog and it is a working breed. Plott Hounds have been raised in the United States for over 250 years and are the only recognized dog breed from North Carolina. Plotts are bred to hunt bears, raccoons, wild boars and other animals. Plott Hounds are smart, tough, and will follow game for days at a time. Johannes (later known as George) Plott arrived in America from what is now Germany in 1750. He was the son of a gamekeeper, and the five dogs he brought with him were bred to hunt wild boars in the forest. The dogs were probably a mix of Hanoverian Schweisshund and other breeds, but no one knows for sure exactly what they looked like. The voyage from Germany to North America in 1750 was a long one, but Johannes Plott’s five dogs weathered it well. Johannes’ brother Enoch (or Enos) wasn’t so lucky. He died and was buried at sea. Alone in a foreign land, Johannes arrived in New Bern, North Carolina in 1750 with little more than his pack of dogs and a determination to make a better life. Not much is known about George Plott’s early years in America; he moved frequently and took his dogs with him. 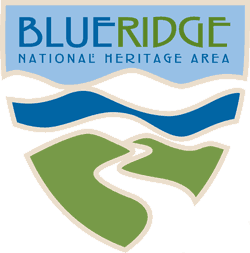 By 1801, his son Henry lived in Haywood County, North Carolina on Plott Creek flanked by the towering mountains that would eventually be called the Plott Balsams. By the end of his life, Henry Plott owned 1,700 acres in western North Carolina and it was here that the Plott Hound became a distinct breed. 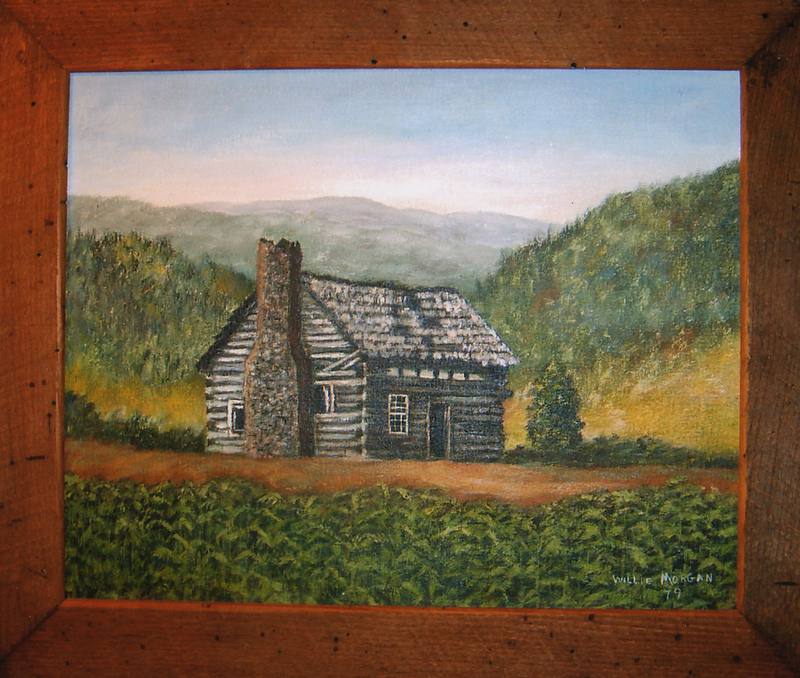 Painting of Plott family cabin by Willie Morgan. Courtesy of Bob Plott. 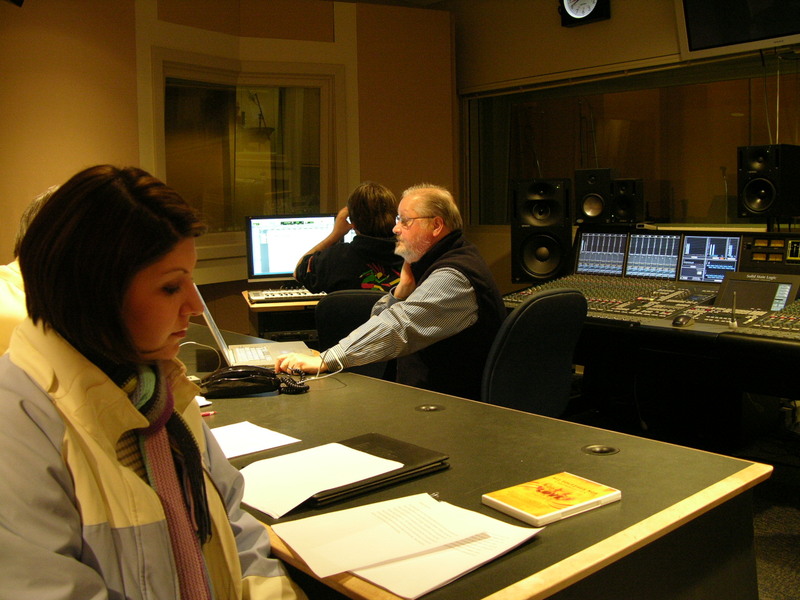 From their first years in America, the Plott family bred their dogs for work. They needed a fearless and strong dog that was smart enough not to kill livestock. 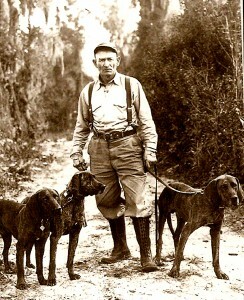 Henry’s grandson Montraville (1850-1924), used his Plott Hounds to hunt bears. Bear dogs need both courage and stamina. Montraville improved the breed by adding some cur to the mix and creating the “Leopard Plott,” a dog with a bluish-gray spotted coat. People soon traveled for miles to buy Montraville’s Plotts. Montraville Plott. Courtesy of Bob Plott. Montraville Plott’s two sons were both devoted dog breeders, but they had very different methods. John Plott was interested in keeping the breed pure, while Vaughn Plott (known as Von) felt that how the dogs hunted was more important than how they looked. The debate about keeping the Plott line pure or adding in other breeds continues to this day. 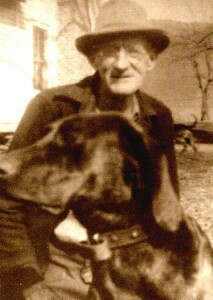 Von Plott was a big game guide who did much to popularize Plott Hounds. 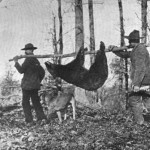 Von and his dogs led hundreds of visiting sportsmen on bear hunts throughout the mountains. 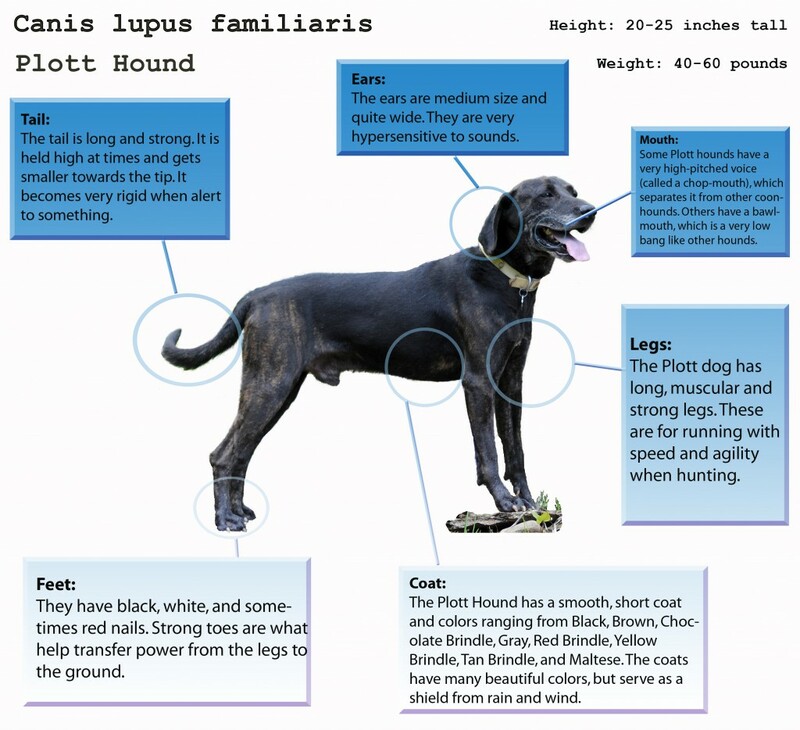 As hunters returned home with stories about this North Carolina dog, the Plott Hound’s reputation grew. Von’s dogs were great trackers, but more importantly they were intelligent. They knew what to do on the hunt, were aggressive enough to stay with a bear, and smart enough not to get killed. 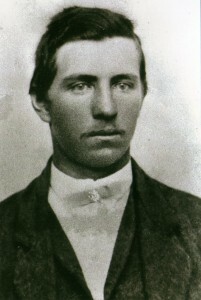 John Plott was quiet and reserved in comparison to his brother Von, but he too played a key role in keeping the breed alive. The Plott brothers were both fiercely dedicated to the perpetuation of the Plott breed though they had different methods and beliefs that are still debated to this day. By the 1930s, many people outside the Plott family also owned Plott Hounds. Although Appalachian families had owned Plotts for generations, few of them thought seriously about breeding and maintaining the line until Gola Ferguson, Howe Taylor Crockett, and Isaiah Kidd entered the scene. Gola Ferguson and his dog Jap. Courtesy of Bob Plott. Gola Ferguson was raised in Bryson City, North Carolina and loved hunting. 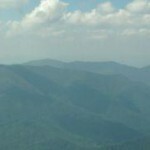 After attending what later became Western Carolina University, he worked as a farmer, sheriff, surveyor, and school principal. Gola obtained his first dogs from the Plott, Cable and Blevins families and his animals quickly became the dog of choice for many hunters. His two most famous dogs were Boss and Tige. When the United Kennel Club recognized the Plott Hound as a breed in 1946, 79 of 81 recognized dogs could be traced to Boss and Tige’s bloodlines. Taylor Crockett got his first two dogs from Samuel Plott when he was just 16 years old. From this small beginning he developed a pack of “old-time” Plotts. His dogs were fierce on the hunt, but gentle with other animals and children. 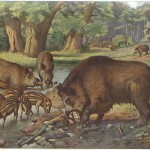 Crockett’s animals were famous for their tenacity and determination on the hunt. Although Plotts had traditionally been used as bear dogs, Crockett was a fan of boar hunting. He trained his dogs to hunt boars, and also helped get the Russian boar recognized as a big game animal in North Carolina. Isaiah Kidd was from West Virginia and he got his first Plotts from visiting North Carolina timber cutters. In the late 1920s, Kidd purchased dogs from Von and John Plott, Gola Ferguson, and others. Kidd spent the next forty years breeding Plott Hounds and was a pioneer in scientific dog breeding. He kept careful breeding records and developed his own strain of Plotts. His dogs were known for their gray, almost zebra-like brindle coats. Kidd was the first scientific breeder of Plott Hounds and his work helped shape the standards for the breed. Despite the fact that Plotts came to America in 1750, it was a long time before they were recognized as an official breed. The United Kennel Club recognized Plotts in 1946, and since then there have been bitter disagreements about what a true Plott should look like. Arguments have raged about the dog’s origins, the amount of out breeding permitted, the proper color of the dog’s coat, and even the use of the word “hound” in the dog’s title! Some of the arguments about what Plotts should look like come from changes about how people think about dogs. For generations Plotts were bred for hunting, not looks. Breed standards, however, rely on appearance. In 2008, Plott Hounds made their debut at the prestigious Westminster Kennel Club dog show, and today, many owners show their dogs in competitions across the country. Pedigreed puppies can fetch hundreds of dollars, and the breed has come a long way since Plott family members gave dogs away for free.